5 Midnight thoughts after the three Sunderland results. 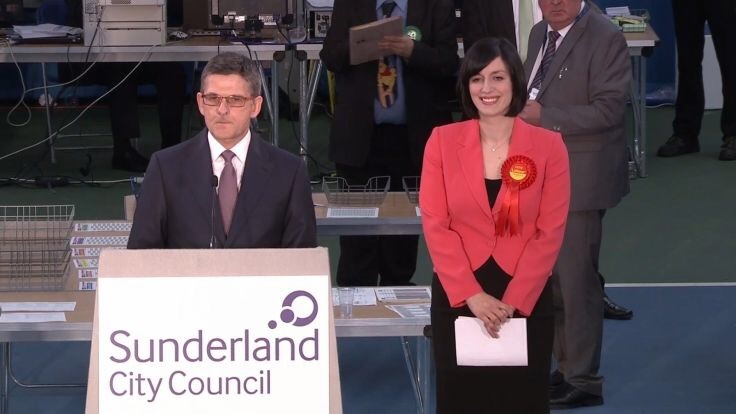 1) The Pope is Catholic and Labour have won three seats in Sunderland. 2) The good news for Labour is that they currently hold 100% of seats in the 2015 Parliament. The good news for women is that Parliament is currently 100% female. Neither will last. 3) The UKIP results have been excellent, for them. They have come second in two of the seats and third in the other one, and got 7,000 votes in all of them. If this continues they are well on their way to the situation they were aiming for which is to have 100 second places as a base to make a serious run at the 2020 election. There is apparently a swing to UKIP from Labour, which will worry them. It was noticeable that in the seat where the Conservatives came second, the combination of UKIP and Conservatives votes were edging towards Labour’s. It will be interesting to see how many seats the Conservatives lose because of UKIP votes. 4) The Liberal Democrats have lost their deposit in all three seats. They didn’t lose their deposit on any seats in 2010. The Greens have beaten them in two of the seats. So far this night is looking like a total disaster for them. However, they withdrew all of their resources from most seats in which they didn’t have a chance, so this might be no surprise. 5) Some are commenting that the swing from Conservatives back to Labour, which needs to be about 5% overall, has generally been less than that, even in the announced seats. That is what is making the exit polls look a little bit more likely to be true. « YouGov Poll has a different prediction. Sounds more right, but might not be.